Sometimes it’s very surprising to see just how much difference it can make in the appearance of a room to just add some trim and moldings. In fact, you can create a kitchen remodel with trim and moldings alone. Adding carefully selected trim and moldings to your kitchen can completely transform the room. Moldings can serve several purposes in addition to adding a feeling of completion and elegance to the room. Baseboards, for example, serve the purpose of covering the intersection of flooring and walls and they protect the walls from damage and scuffing from shoes. Adding ¾-round at the bottom of the baseboard protects the baseboard; this is why it is often called “shoe molding.” Chair rail adds a finishing touch in a dining area and protects the walls from damage caused by chairs. You can quickly see how adding trim and molding can create a kitchen makeover very quickly. In a country kitchen or some traditional or modern kitchen designs, picture rail can also be added. Moldings also include your door and window casings. In a country-style kitchen, for example, a 1 x 6 might be the perfect choice for door and window framing. In a traditional kitchen you might choose a more ornate or delicate molding to frame doors and windows. You also might try to create something very unique by placing a more ornate molding over a 1 x 6 or a 1 x 4 board painted in a matching, contrasting or coordinating color. 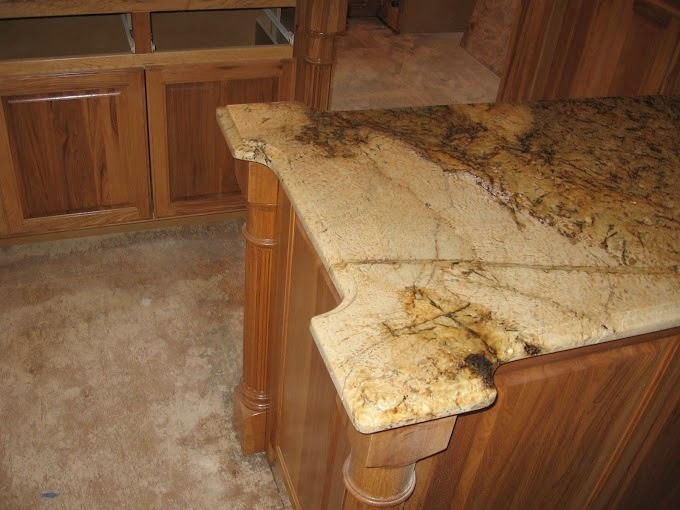 Moldings can be stained or purchased in wood that matches your cabinets or it can be painted. Sometimes the contrast provided by white molding can be a very attractive way to create a kitchen remodel. Moldings can also be used to frame arches or other openings between rooms to add a finishing touch. Crown molding, of course, is generally considered the “crowning touch” in creating a kitchen makeover with trim and moldings. Wainscoting can also be a very attractive addition to a dining area. Whether stained or painted, whether wood or vinyl, wainscoting is a great way to create a kitchen makeover. It can be installed from floor to chair rail height or to five-feet from the floor. The challenge of installation will depend on the intricacy of the molding design and how straight your walls are. Molding that will be painted can be purchased at a significantly lower cost than molding that will be stained or left its natural color. Paint-grade moldings are made of less expensive wood and cost much less. You can also save money by choosing plastic or vinyl moldings. Compared to many other materials used to create a kitchen makeover, moldings will be expensive. But most homeowners believe the decorative and finishing effect of moldings to be worth the cost. If your budget is tight at the time of construction, you might just delay buying and installing some of the moldings until a later time.